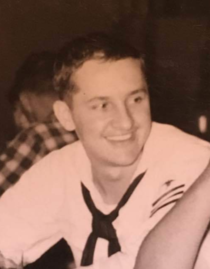 Joseph Henry “Joe” Hohnholt, 85, beloved husband, father, grandfather, and great-grandfather, passed away peacefully on Sunday, November 11, 2018 in Wheatland, Wyoming surrounded by his family. He was born on July 9, 1933 in Hartville, Wyoming to Everett and Edith (Corolla) Hohnholt. He graduated from Sunrise High School in 1951 and went on to serve as a medic in the Navy from 1952-1956. After his military service, Joe began his career at the Sunrise mine and began dating Jeannette LaRae Bromley in 1957. They were married on January 4, 1958. After marriage, Joe and Jeannette moved to Guernsey and started their family. They later moved to Sunrise and also lived in Leadville, Colorado briefly when Sunrise shut down. They returned to Wyoming as soon as the mine reopened and settled in Guernsey in 1963 where they lived and raised their three sons for the next 55 years. Joe was an incredible family man and worked hard his entire life to provide for his family. After the Sunrise mine closed in 1980, Joe worked several different jobs to support his family. He worked for the town of Guernsey and was the primary person responsible for the development of the Trail Ruts Golf Course. He worked as a butcher at the Jack and Jill grocery store. He worked at Guernsey Parks and Rec coaching youth sports. He was the Mayor of Guernsey for two years. His final job was collecting fees at the gate at Guernsey State Park. Joe was an avid hunter and fisherman and loved spending time at Laramie Peak hunting with his sons and brothers-in-law. He loved wildlife and the outdoors and shared his love of nature with his family. Joe is survived by his wife, Jeannette, who cared for him tirelessly and lovingly during his two-year battle with dementia; sons: Rex (Mary) Hohnholt of Saratoga, Wyoming, Todd (Nancy) Hohnholt of Wheatland, Wyoming, and Jeff (Keri) Hohnholt of Murray, Utah; 11 grandchildren; 11 great-grandchildren; and brothers; Bob (Joan) Hohnholt and Jack (Barb) Hohnholt; and many nieces and nephews that he thought the world of. He was preceded in death by his parents, Everett and Eda and brothers, Albert, Bert, and Everett (Jr.). The family would like to extend thanks all of the family and friends that visited and called Joe over the last two years and to the staff of Platte County Memorial Hospital. A special thank you to Joe's nurses; Darla, Kristen, Talon, Candy, and Brittany and aide, Sherri. The care and compassion that you showed during Joe’s final days will be forever remembered by our family. A celebration of life for Joe will be held on Friday, November 23, 2018 from 2:00 P.M. - 4:00 P.M. at the First State Bank Conference Center in Wheatland, Wyoming.